25 July 2016, Monday. The nice folks at the Bajaj Phnom Penh dealership requested and arrange for a reporter from Sabay to interview me. 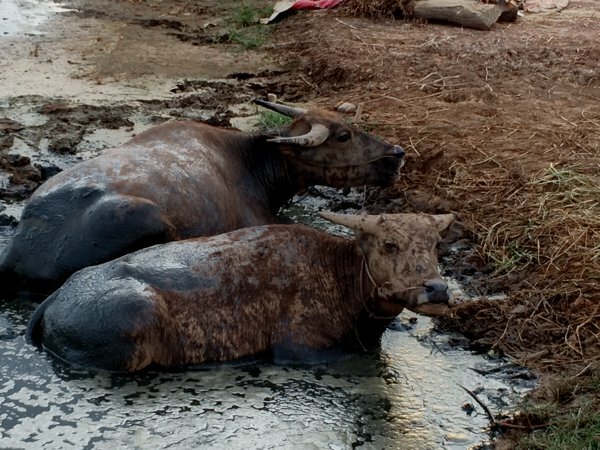 They were curious about my multi-country travel with my Bajaj Pulsar 200NS. And so I had a nice chat with the senior news reporter from Sabay in the morning. Not actually sure if my travel story is sufficiently newsworthy though. LOL! 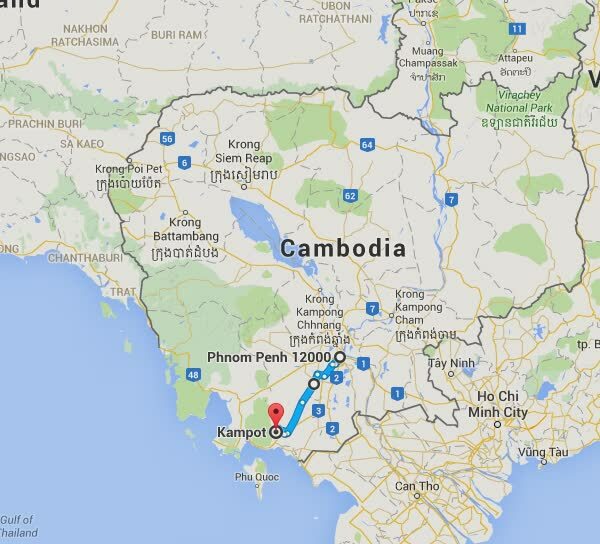 I’m heading to Kampot and the Bokor Mountains! 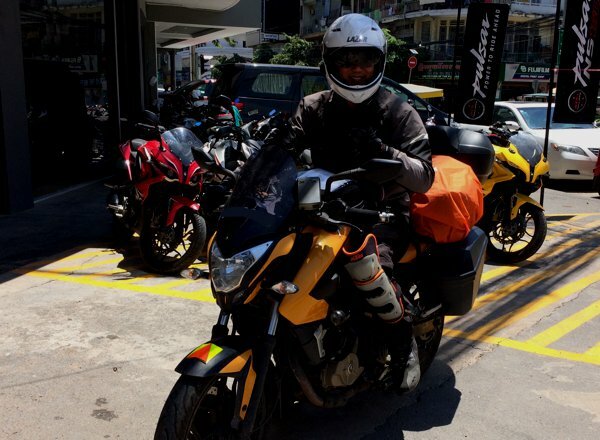 sgBikerBoy is all geared up and ready to go! 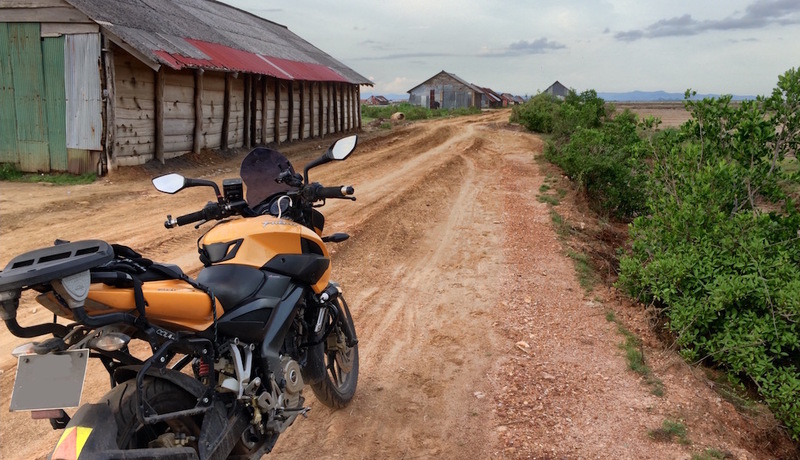 I reached Kampot around 3pm. And by the time I got a room, it was kinda late for me to head to the Bokor Mountains. Probably tomorrow instead. So I spent the rest of the afternoon and evening wandering around town. Some cities have monuments of great people. Some have architecturally beautiful monuments to mark the centre of the city or town. 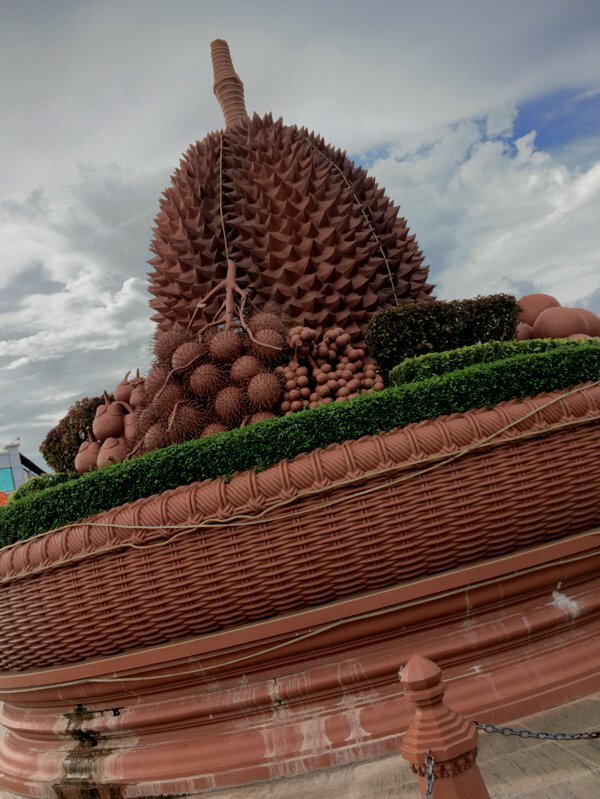 Kampot has a huge durian in the centre of a roundabout in the middle of the town. 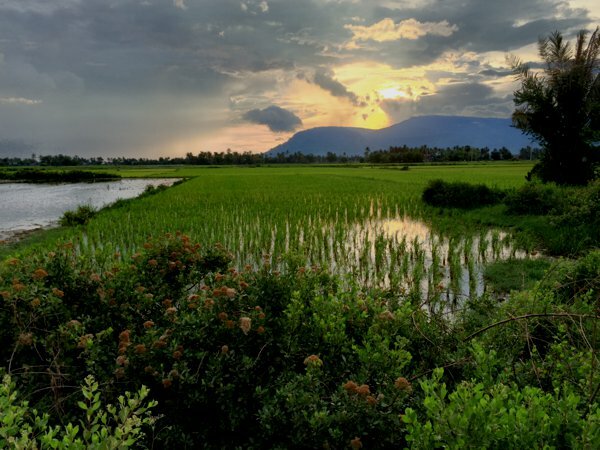 I think I like Kampot already! 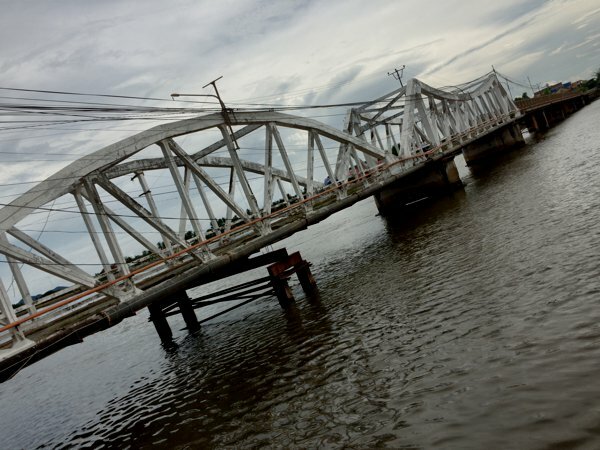 The old bridge of Kampot. Presently unused. But I saw people climbing through he barrier and walking across the closed bridge. 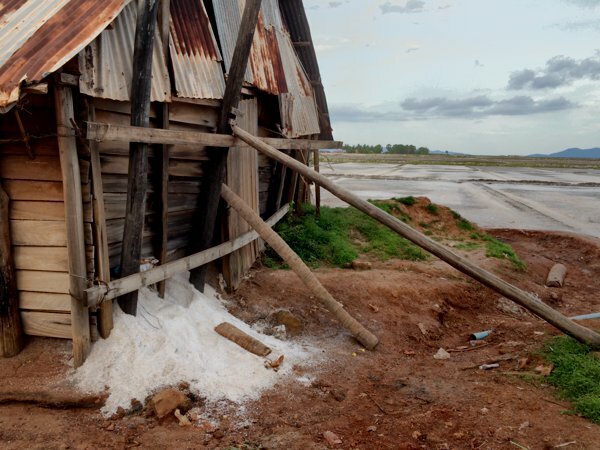 Kampot is known for their salt and salt fields. Water from the sea is let into the fields, and then blocked out. When the water evaporates, salt crystals remain and are harvested. Iodine is then added to the salt before being packaged and sold. 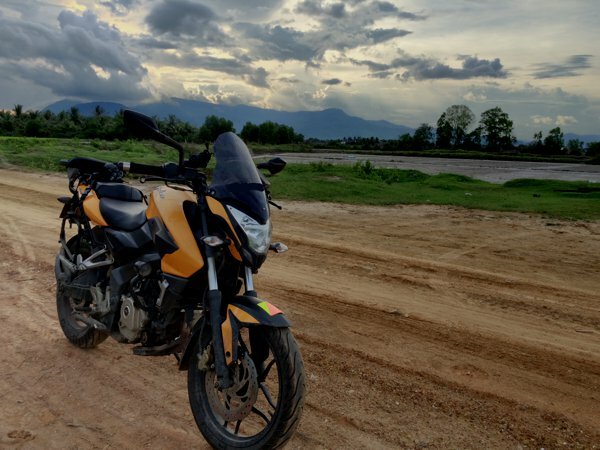 My Pulsar 200NS against the salt fields of Kampot. 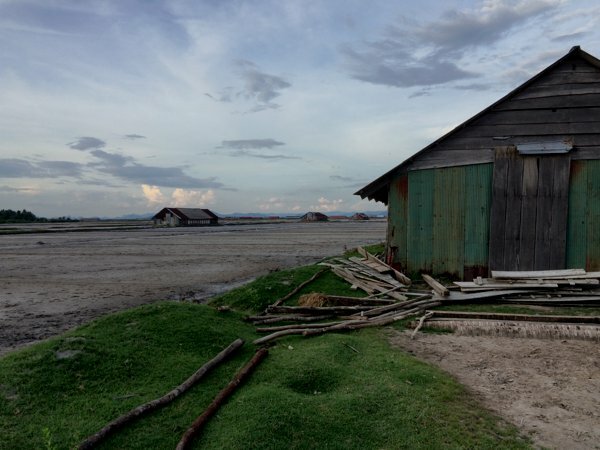 The salt fields of Kampot. A salt storage facility overflowing with salt. 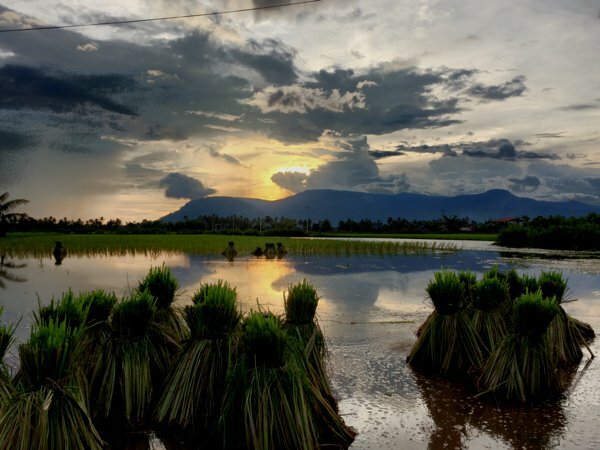 A paddy field during sunset. Goodbye sun. See you tomorrow. Hi Derrick. Here, I am from Sabay. I was really glad having a nice chat with you. Thanks so much for your time for the interview. Hi Phannith! Thank you for the article. Yes, I actually saw it about an hour ago. It was great chatting with you! Hi Sorida! Thanks for the nice words. 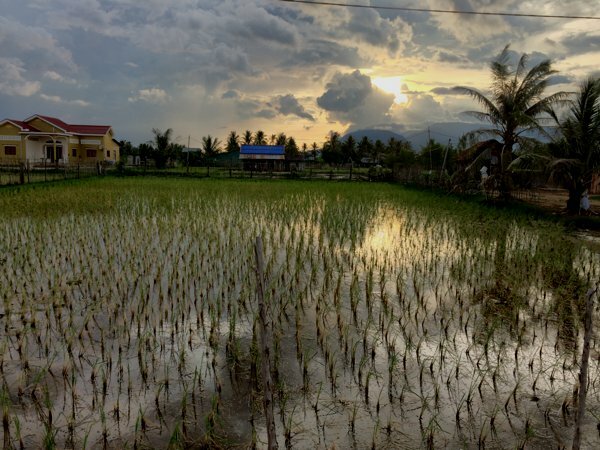 Cambodia is beautiful and the people here are really friendly. Loving it so far! Thank you Lee. 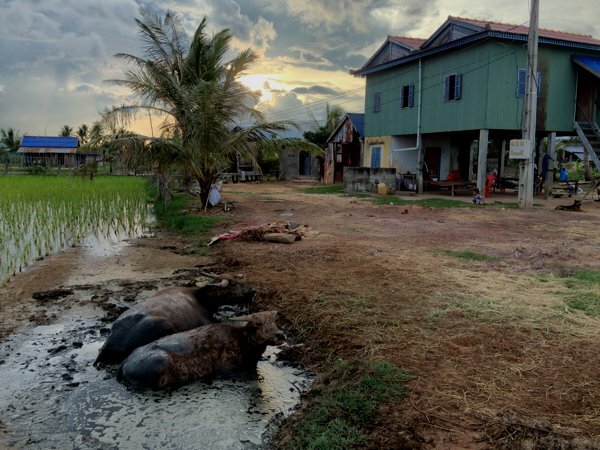 Cambodia’s a nice place with very friendly people too. I’m just a little surprised it’s still relatively untainted by tourists compared to the other surrounding countries. Will definitely visit Cambodia again.